Outer cooling room of the bath near Samatya in Istanbul. Outer Cooling Room of the Bath near Psamathia Kapusi, Constantinople. WALSH, Robert/ALLOM, Thomas. Constantinople and the Scenery of the Seven Churches of Asia Minor illustrated. In a Series of Drawings from Nature by Thomas Allom. With an historical account of Constantinople, and descriptions of the plates, by the Rev. Robert Walsh..., London/Paris, Fisher, Son & Co. [1836-38]. WALSH, Robert/ALLOM, Thomas. 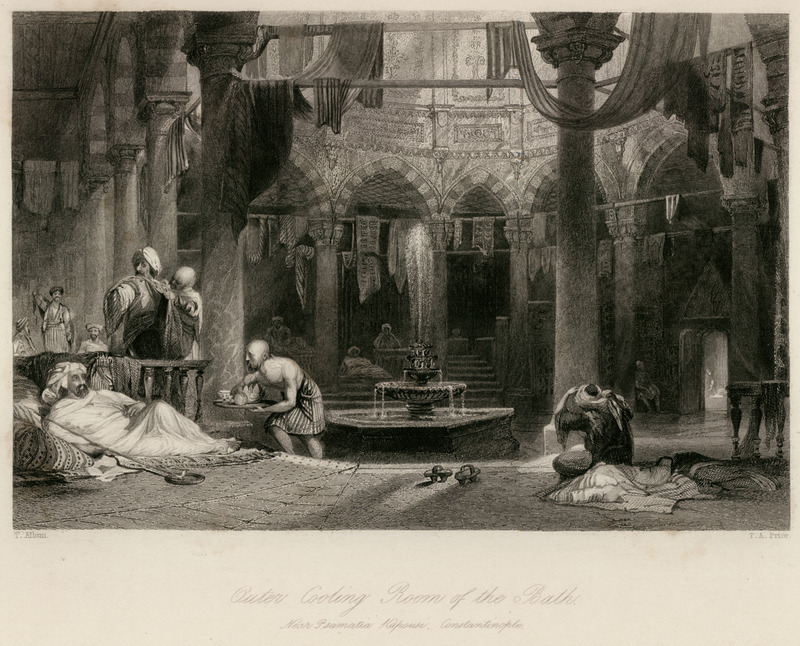 Constantinople and the Scenery of the Seven Churches of Asia Minor illustrated…, With an historical Account of Constantinople, and Descriptions of the Plates…, London/Paris, Fisher, Son & Co. [1836-38].